ARIES – Married couples would enjoy a good, harmonious domestic day today. Children might look up to their parents for some support. Those who are in the legal field will be very enthusiastic and will be very successful today. An empathetic nature, especially towards students will help teachers resolve the problems students come up with. Sportspersons might have to work very hard today and in the coming days. They would have to practice as much as they can if they are to excel in their field. Artists would effortlessly endear themselves to people they meet. Their creative talents makes it easy for them to liked by others. TAURUS – Those who are single might today enjoy an intense love life and a joyful personal relationship. Parents’ health, especially that of your mother may be a cause for great concern today. A health check-up or visit to doctor is advised. A trip today will bring favorable results today. Especially for those who are in marketing. Students planning to join a part time course may have to delay their plans. Politicians will see an increase in their supporters today as more and more people join their cadre or come out in their support. It’s now time to push your plans and start work on them. Also need to make afresh financial beginning. GEMINI – You might be under lot of obligations and out of consideration for others you might decide not to express your love for your beloved today. Those who are married might spend a lot on shopping for the entire family. Those who are single must now start thinking of their own welfare. They should now take off some of the extra responsibilities that they have been carrying upon them. Politicians may be called on to mediate within the party members and resolve issues today. Sportspersons awaiting confirmation for a new job may expect to receive the orders today. You are advised to be in a calm and meditative state of mind today. CANCER – Those who are single are advised not to be too moody today. Else they might lose some romantic opportunities. Try and explore new places that you haven’t been earlier, during your trip today. Doctors must take care not to lose their temper with patients. A half day break to relax and refresh themselves from their tight schedule will do them a lot of good. Accountants might have to deal with the pressure of deadlines not being met. They would have to listen to complaints on this from clients and seniors. A favorable day predicted for those in the real estate business. Ongoing deals may be finalised and closed. New property deals may be made. Those in the teaching profession will get some time today after work hours to spend with their family. LEO – Your love signs are shining bright today. Under its influence you would be very expressive in your affection today. Parents would be very proud of their children. They would excel in their studies or co curricular activities and they would become famous. Those seeking an employment opportunity might meet someone influential today. They need to ensure that they make a good impression. Those in the legal profession will work towards establishing their business and career. They would take the steps towards this goal today. Students will gain some clarity on their difficult subjects today. They would be able to understand things better and thereby remember what they study. A very special day for those blessed with artistic talents like literature, music, painting, etc. they would gain wide acceptance and appreciation for their talents. VIRGO – Your romantic dreams may come true. You may make offerings and seek blessings at sacred places and even do charity. Job seekers may not find favorable response from anywhere today. But they needn’t lose hope as luck will shortly change. Not a favorable day for students. They might waste time with friends or get into arguments with them. Sportspersons may expect to be rewarded for their achievements in their respective field. They might receive a lifetime achievement award. 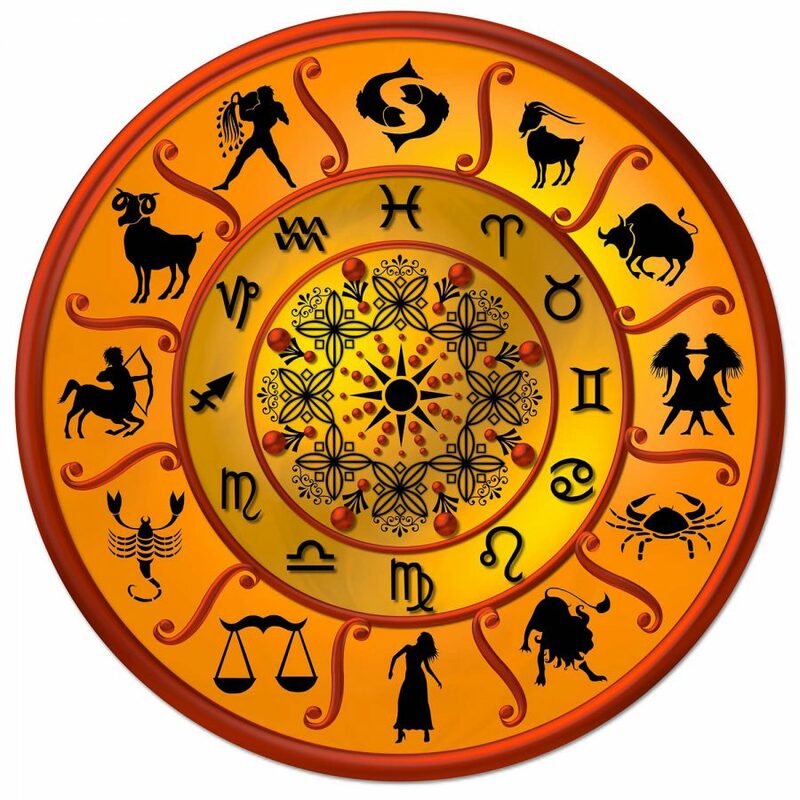 LIBRA – Children will have a great today as they enjoy the attention of the entire family. Their play and happiness would bring joy to the entire family. You have an intense desire to travel and visit famous places around the world. You will today be able to plan your work in such a way that it can even facilitate your travel. Legal professionals will finally get a break today to refresh themselves from their busy schedule. A lunch or dinner with dear ones is advised. Builders who have undertaken government projects especially might have to answer today for not completing projects within the deadline. Students appearing for their exams are advised to work hard and to constantly keep revising their studies. Teachers will be busy today attending seminars or workshops which may later assist them at work. SCORPIO – Those who are single are advised to accompany their friends to parties or functions. This might be their chance to meet potential suitors. You are very keen on gaining knowledge through your travels. You learn new things about people and places as you travel. Share brokers and gamblers could be very lucky today. They might win everything they touch. Politicians will today be recognised for their work and all the effort they put in. You might experience a healthy, comfortable and peaceful day ahead. 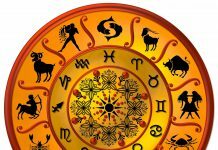 SAGGITARIUS – For those who are in a romantic relationship and are ready to tie the knot, today might not be the best of the days to meet your would-be-in-laws. A travel is predicted for today. This journey would be to complete a matter that has been pending for some time now. Those seeking a job for some time now might not be rewarded for all the efforts they have been putting in. Engineers will have a fairly hectic day today. There would be lot of workload they would have to go through. A very good day for those in the share markets. They could make a financial fortune today. You might enjoy a good, healthy and comfortable day today. CAPRICON – Couples who have been living separate for a while now might reunite in the most unusual circumstances. Children staying away from the family for studies, etc., may visit unexpectedly. Their visit will bring joy and celebration in the family. Some paperwork might delay the signing of new business contracts. It’s therefore advisable to take the required steps. Teachers who are coaching students for their examinations and other activities will be well appreciated for their efforts. Artists, especially painters will get admission to a study arts at a recognised school. AQUARIUS – Various jobs at home will keep you busy today. You might have to get ready for some manual labor around the house. Children planning for higher studies would come to you for advice and support. They will make you feel proud and happy. Businessmen would gain financially from new ventures. Teachers may be assigned new duties along with their existing job. Artists are advised to take time off to rejuvenate and prepare for the busy schedule that would come their work. PISCES – Those who are married may expect some major developments at home which would work out in their favor. Parents or relatives might bring suitable marriage proposals for those who are eligible for marriage. A group of explorers might invite you to join their travel. This would be a dream come true. You have always desired to gain knowledge through travel. Businessmen and industrialists may today get an opportunity to make long-term property investments. Real estate businessmen may just relax today as personal property transactions would go smoothly. Politicians with an enterprising spirit may rise to prominence today. They would be able to advance their career and attain a higher position in their party.